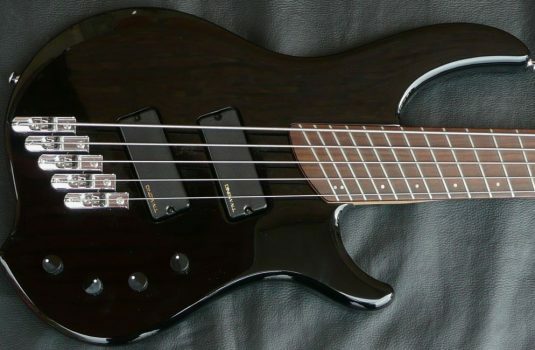 A new fretted 5 from Vadim – yes, it has been a while. When a luthier makes only 10-12 basses a year, there aren’t many to go around. 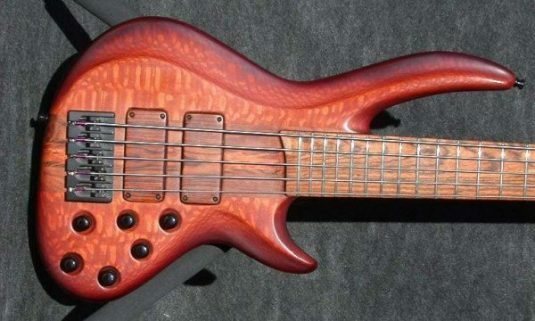 Look at that top – was that bass alive at one time? Is it alive now? That’s Leopardwood, a close relative to Lacewood. 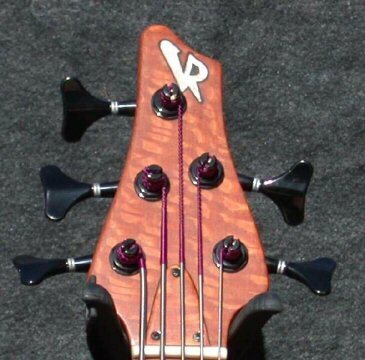 The back of the bass is Cherry. 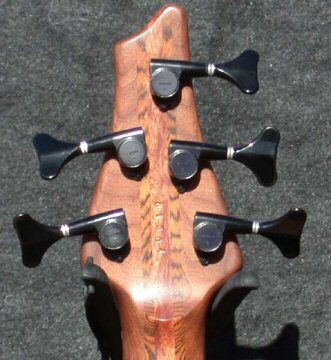 The 35″ scale neck is Walnut, Bocote, and Santos down the middle. 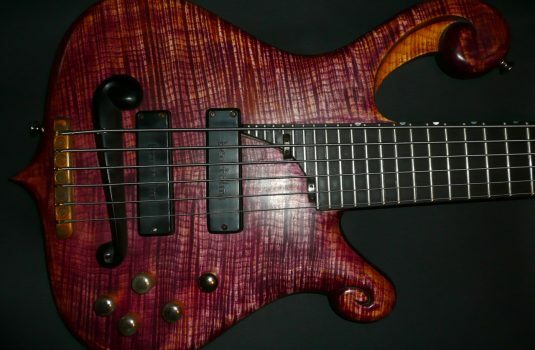 The fretboard, and the pickup covers, are also Bocote. 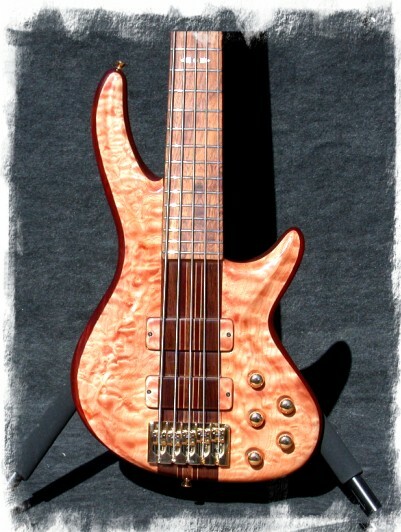 This bass features Vadim’s own custom pickups and his new proprietary 4 band preamp (MY idea, BTW). 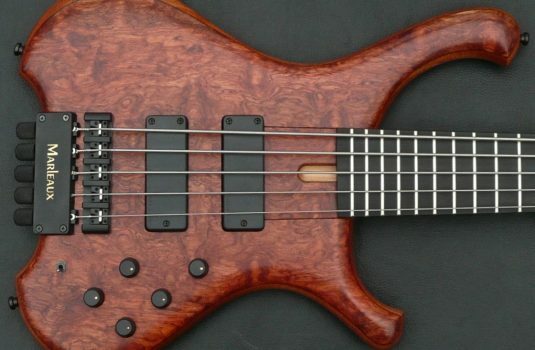 As is the case with all basses by Vadim, it is stunning to behold, but more importantly, it plays and sounds as well as it looks. 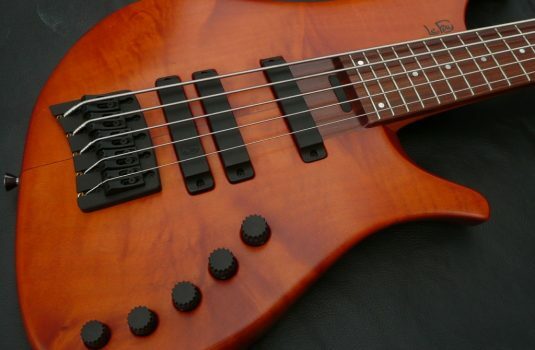 The bass can be aggressive and ready to funk , or with a little EQ work, ready for fingerstyle jazz. Midrange is where a bass is defined, in my humble opinion, and 2 bands of EQ dedicated to mids alone let’s you dial in THE tone.